Dr Li Maosen is the Deputy Director of the National Center for Ethical Studies at Renmin University of China. His research interests lies in ethical theory, moral education and applied ethics. He was a visiting scholar at Inha University (Korea) in 2013-2014 and at Tokai University (Japan) in 2002-2003. He worked at the education section of Consulate-General of the People’s Republic of China at Osaka during 2005 and 2007. His English work includes Moral Education in Changing Chinese Societies (as a guest editor), a special issue of the Journal of Moral Education in 2004. His major publications are the translations of Protecting the Vulnerable: A Reanalysis of Our Social Responsibilities (2008) by Robert E. Goodin, the Moral Foundation of Rights (2011) by L. W. Sumner, and a book entitled Strategies for Moral Progress in China (2016). 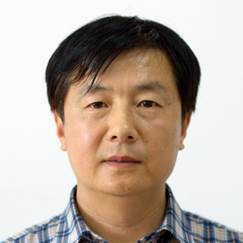 His academic affiliations include Standing Director, China National Association for Ethical Studies, Member of the Editorial Board of the Journal of Moral Education (JME) and the journal of Leadership and the Humanities (LATH), and Member of Editorial Advisory Board of the International Review of Information Ethics (IRIE). 리 마오센 교수는 중국 인민대학 윤리학연구센터 부센터장이며 윤리학이론, 도덕교육론, 응용윤리학에 학문적 관심이 깊다. 2013-2014년 인하대와 2002-2003년 일본의 토카이대(東海大學)에서 방문학자로 연구를 수행했고, 2005년과 2007년에는 오사카의 중국 총영사관에서 교육을 담당한 바 있다. 리 교수는 2004년 영문학술지인 Journal of Moral Education의 특집호 ‘변화하는 중국의 도덕교육’의 게스트 에디터로 참여했으며, Protecting the Vulnerable: A Reanalysis of Our Social Responsibilities (2008), the Moral Foundation of Rights (2011), Strategies for Moral Progress in China (2016) 등의 저술을 번역 출간한 바 있다. 현재 중국윤리연구학회 상임이사와 학술 저널인 Journal of Moral Education, Leadership and the Humanities, International Review of Information Ethics의 편집위원을 맡고 있다.